UKDN Waterflow has been a key supplier of water and drainage services to water and sewerage companies (WaSCs) and asset owners since 1965. Working alongside the asset managers and owners, we provide practical drainage solutions to meet all needs. The best way to formulate a totex (total expenditure) wastewater infrastructure strategy is with a detailed survey. Here we use the latest sewer flow monitoring, asset mapping and data management tools to highlight any potential issues. From this information, we’ll work with you to develop an ongoing asset management strategy. This level of management is vital to system integrity, so we’ll deliver real time updates on asset degradation in critical network areas regularly. 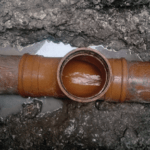 Monitoring the condition of the sewerage and water infrastructure allows us to pinpoint any problem areas quickly, and propose long-term solutions to deal with service or structural requirements. More serious issues can be escalated and root causes of degradation analysed. Whether the issue is minor or major, we provide effective and complete civil works packages. UKDN Waterflow also offers a full service, from Building Installation Modelling (BIM) support through to reactive and planned maintenance, renewal or replacement. Each water company is different, so we have a range of flexible pricing models to suit every situation and need, with fixed price asset management and work packages. Projects and programmes are delivered with minimal hassle, every operational outcome is met or exceeded and, ultimately, SIM scores are improved. When it comes to water and wastewater infrastructures, the UK’s water and sewerage companies rely on UKDN Waterflow. Find out why on 0333 344 2937, or use the contact form here.